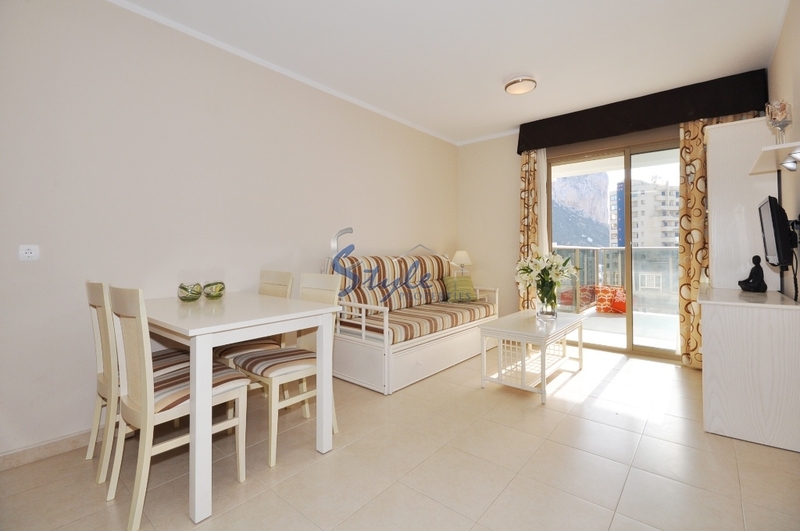 This very nice studio apartment is located in a popular area of Calpe. The beach is only few minutes away as well as the restaurants and bars. The apartment has living area with sofa bed, kitchen, bathroom and good size terrace. It will be sold furnished and equipped. Calpe is a wonderful place which is ideal for permanent living and holiday. Here you will enjoy excellent climate and infrastructure. The nearest international airport of Alicante is 60 km, to the entertainment center of Benidorm about 20 km.